Remember some of those extraordinary landmarks invented for the World’s Fair that people couldn’t wait to experience? (Seattle’s Space Needle and the Eiffel Tower might come to mind.) San Mateo’s original Maker Faire is similar, but with an interactive spin on individual exhibitions, and anyone, young and old alike, can enter to share their DIY creation. 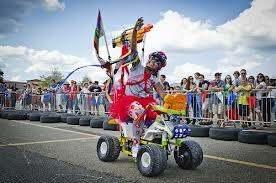 The Maker Faire celebrates individuality and caters to whatever kind of a person you happen to be with any sort of interest you happen to have. All the Makers in the House! 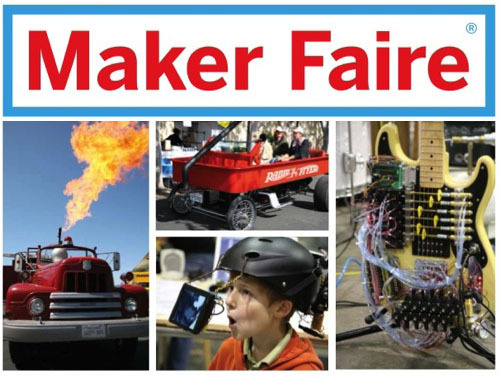 First launched by Make Magazine back in 2006 in San Mateo, California, a hotbed of innovation and the hub of the tech boom, the Maker Faire has always been about SHARING and LEARNING from one another. MAKE founder Dale Dougherty decided he wanted to get all the “makers” together—knowing they’d each have a great, hands-on story to share. 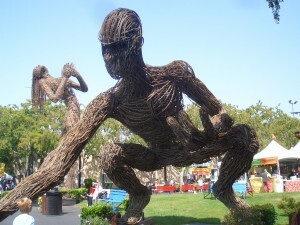 Maker Faire was designed to for participants to get lost in the creativity and innovation of others, across the spectrum of science, engineering, art, performance and craft. 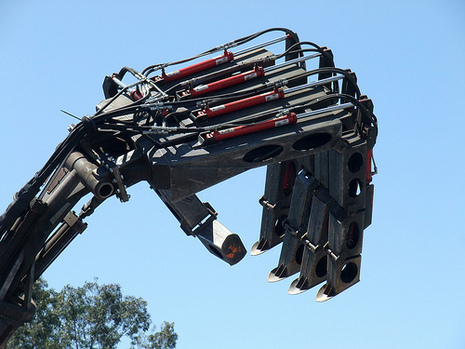 In the last year alone, a whopping 165,000 people attended the Bay Area and New York Maker Faires combined. Swap-o-Rama-Rama: Recycle and upcycle clothing into new items to love. Includes a fashion show! Celebrate the Do-It-Yourself Maker Movement! Check out over 900 MAKERS at the MAKER FAIRE in San Mateo, CA! Saturday, May 18 from 10:00 a.m. to 6:00 p.m.
Sunday, May 19 from 10:00 a.m. to 6:00 p.m.